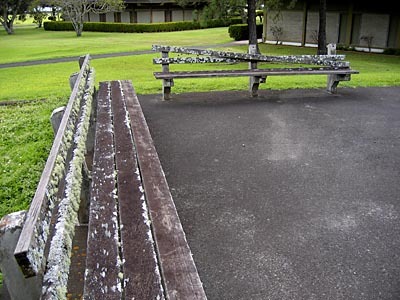 Doesn’t look like anyone has sat on these benches for awhile in Waimea. The backrests look a bit fuzzy. 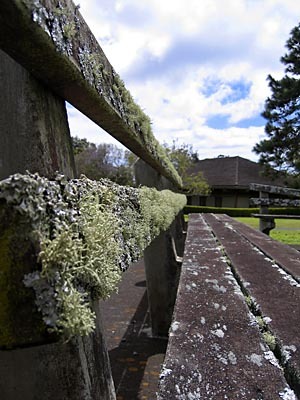 Does the moss growing on the benches mean they’re facing a certain compass direction? 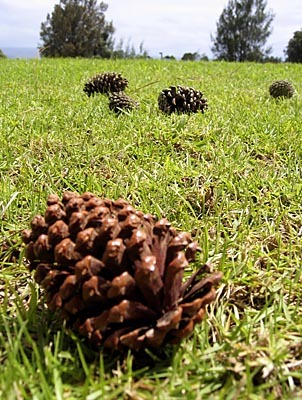 And these pine cones show that Waimea may not be people’s typical picture of Hawaii. It seem more like the Pacific Northwest in places.